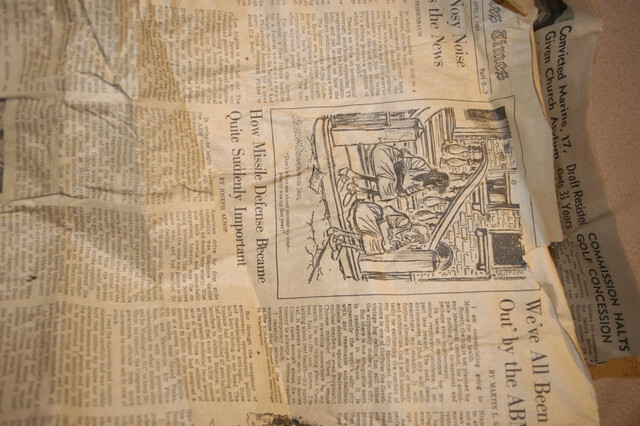 Look what I found in the old garage. › Look what I found in the old garage. I use to drag race a 1950 Ford two door sedan with a 239 CI flathead V-8. When I worked in the race shop I built a .125" over dual valve springs, Isy. .404 cam with radius tappets, ported, three angle valve job, lightened valves, balanced, Chevy fuel injected dual point centrifugal advance distributor. It would run in the 15's in the 80's mph which was better than national record way back then. I am sure way up by now with new stuff out there. The Isky cam was too radical and wore out very quick so went with a Melling that was much better. 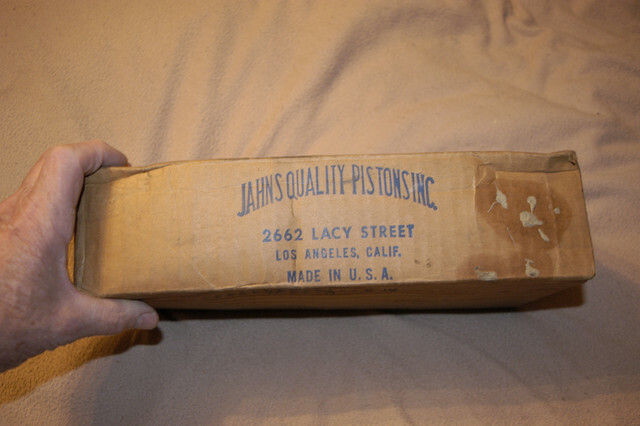 I was looking for my original Red positive battery cable off my Mach 1 when I found two sets of NOS Jahns racing pistons. 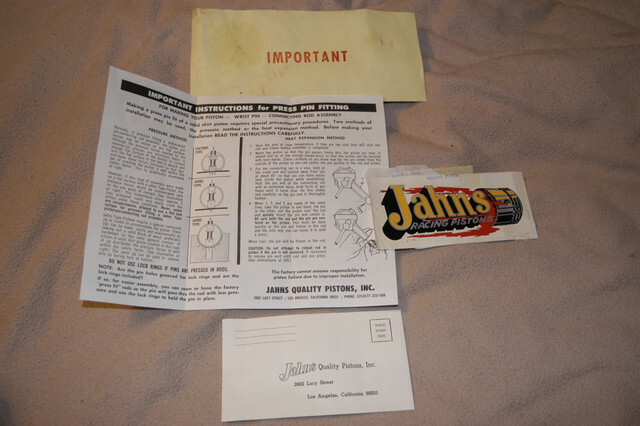 When I ordered parts it was from Honest Charlie in Tenn. back then. 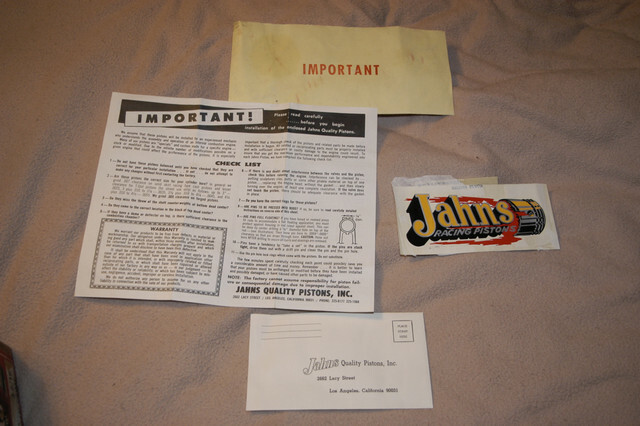 They sent me a letter with an extensive list of pistons, heads, intakes, gaskets, cams and such for flathead they wanted to close out. I paid $10.00 a set for the pistons. 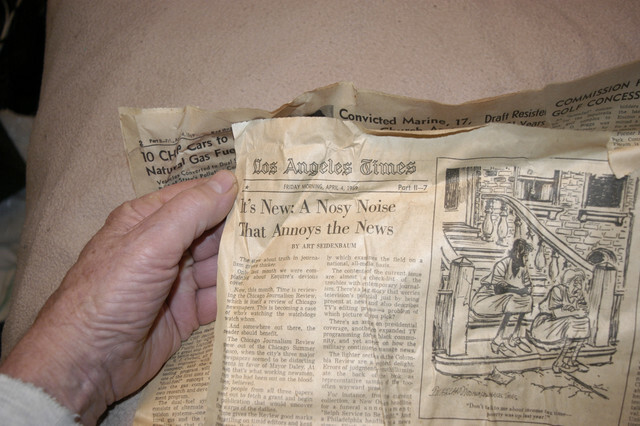 News papers packed inside are L.A. 1969 vintage. The decals are still good also. Had them in plastic bags in the dry. 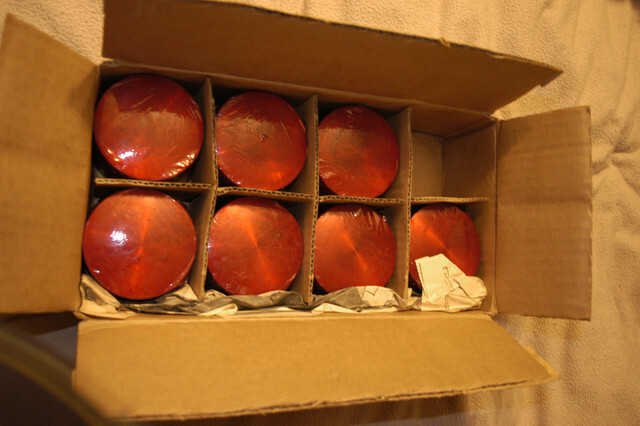 They called those red wrappers Red Hot Wrappers, lol. 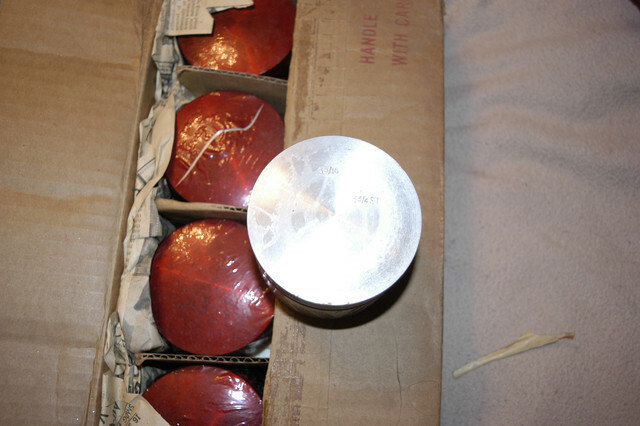 These are 3 ring racing pistons, .125" overbore with standard 3 3/4" stroke. I sold a set I found a couple years back that were 3/16" + .030" over that and were stroker and for a blower. A guy in Texas bought them and was so happy had been looking for years for them. I have never blown an engine up, knock on wood, and that flathead was fun to beat a new 289 Mustang between red lights and then show him that little flathead. It would melt the tires had a Hurst shifter and Line Loc also. I parked it in 1971 when my new Maverick Grabber came in and been in the barn ever since. Was my first car. 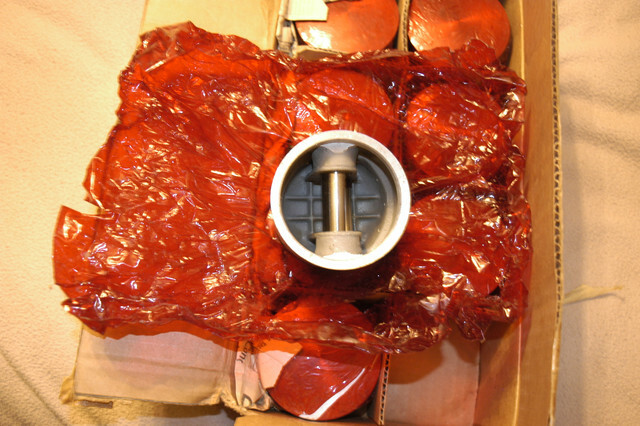 I still have one NOS transmission for it also in the Ford crate. BTW I never did find the battery cable. I need a NOS or correct Red positive battery cable for the 1973 Mach 1 and also the big Autolite battery for that year. Who has them?? NPD has a concours cable set for $60 and CJ has a set for $54, couldn't find just the positive cable. Interesting find on your pistons. I like flatheads. (01-29-2019, 02:00 PM)Don C Wrote: NPD has a concours cable set for $60 and CJ has a set for $54, couldn't find just the positive cable. Thanks for the info. Not as bad as the tires were, lol. Nothing is cheap in this day and time. Made cheap but never sells cheap. I have heard that the repo batteries do not last very long at all. Seems like someone on the forum ordered and had to go through like 3 before it even worked. 73 years can just use a new motorcraft battery. 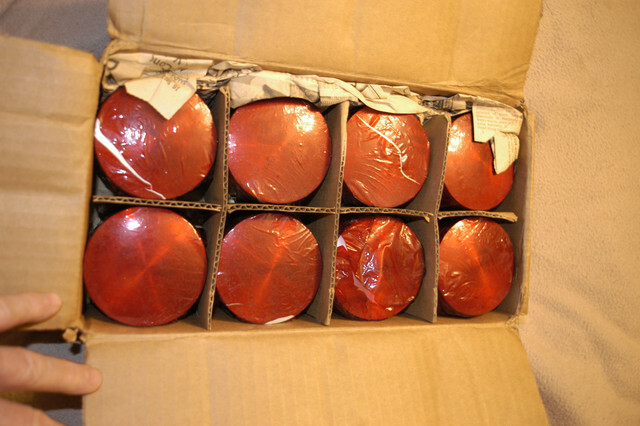 I went thru three expensive autolite repro batteries over a 6 year period in my 69. They come dry and getting the acid is a pain. It looks like there is no repo for the 1973. There listing only goes to 72. Must have been some of the changes from Autolite to Motocraft? I can find the original for sitting in the museum just for looks. Car will probably never be on the road ever again. David, that's quite a nice stash of flathead parts you have. Our Blue Oval Coordinator was a Certified Car Crazy flathead aficionado. 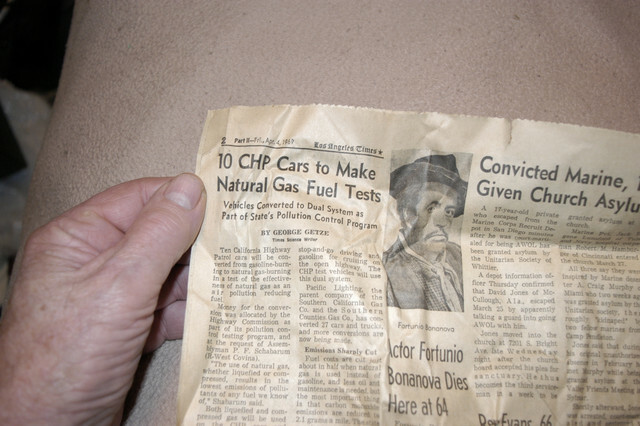 He had several flathead powered cars and enough parts to fix just about anything that could possibly go wrong with them. 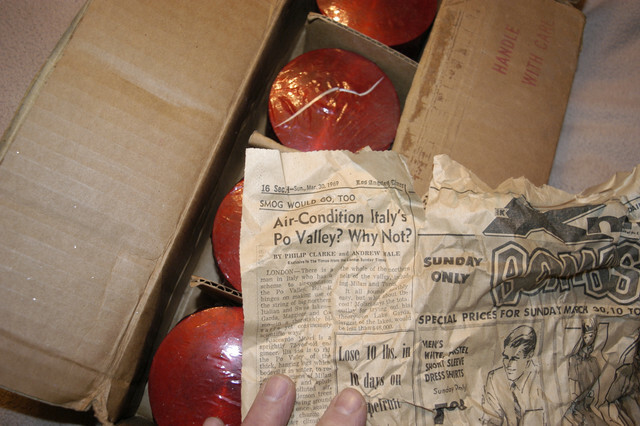 He also had a set of Ardun Hemi heads which I believe was the crown jewel of his collection. But he found his dream car, a Dusk Rose 57 T-Bird and the flathead cars and parts were history! I believe the original battery for your car is a R-27-F. The service replacements in the late 70's were G-27-F (dry) and MF-27-F (Maintenance Free-Wet) The Motorcraft branded battery would be correct for your car. The transition from Autolite to Motorcraft was not a Job 1 deal. My late build 71 Mach 1 (7/28/71) had Motorcraft service labels and 72 engineering numbers on things such as the AC compressor, starter, alternator, and various electrical switches. I had also seen early build 72 LTD's, Mavericks, etc from other plants that still had Autolite components under the hood. Did the museum give you any guidelines on how the they want the long term cars displayed inside? Battery cables disconnected, fuel filler caps taped or covered? Since there are no repo Motorcraft batteries at this time, I would clean and detail the OE battery for display purposes and acquire a 27 series battery from Ford or a equivalent and use it to crank and move your 73 as needed. It appears that for now your only source for the correct style battery cable is the three piece set like offered by Marti, NPD etc, all in the $60.00 range. At least CJ has their set on sell for $54.00 as Don C posted. Yes Dave, that was me with going through 3 repro autolite batteries but this one seems to be holding up! Thanks for all the info. Great to have a dealer guy on the forum. As far as how to display the car. I had just sent Steve the guy over the museum some info on Monday and asked him when the car needed to be there and how it would be displayed. They might want a dry gas tank and fuel system to fit withing their insurance requirements. I know when I use to do some of the inside shows in the past the fire department wanted tape on the gas cap. Don't know what that really does, lol. I am also on my own going to build four stands that will support the weight of the car but sit at ride height so if a tire leaks it will not show and will also prevent flat spotting the tires. Lots of museums do that. I will put RTV on the valve stems when they go in and I did clean the bead area on the rim spotless. Have a friend with tire shop he will take his time mounting and be sure everything is rotated to correct place so they look neat and do not leak. I took the car to MCA nationals once and I unhooked the battery to keep the hood light,interior lights and trunk light from killing the battery. They took off points because the power windows did not work, DA HU, they are idiots. 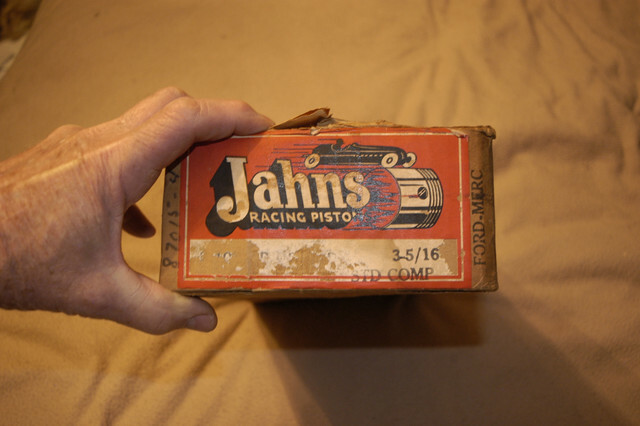 Cool old set of Jahns Racing Pistons. 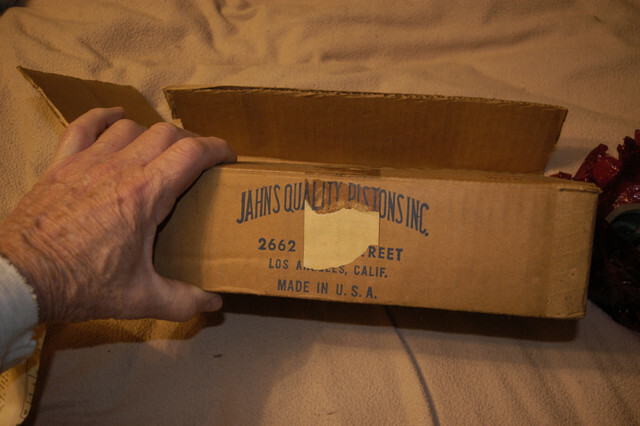 Jahns used to be a major, and widely used piston . 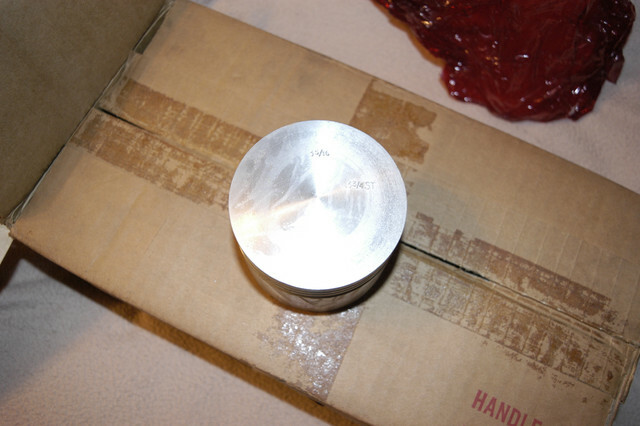 I remember most Jahns Piston owners using their cast piston, although they did make forged pistons as well. 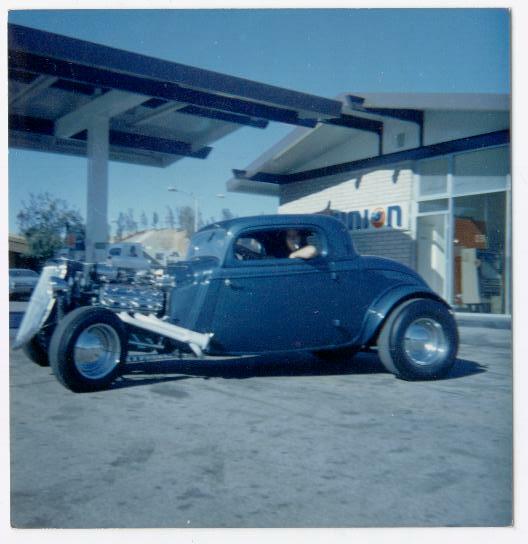 I bought a '34 Ford coupe that was an ex-dragstrip car, after I graduated High School. The 354 Hemi that was in it were Jahns cast 13.0:1 ! I know because I replaced them with lower ( stock ) compression pistons for the street ( about 10.25:1). I have a Chevy F.I. domed Jahns piston (cast ) for a 327 sitting above my home workbench, I have no idea where I got it or when. 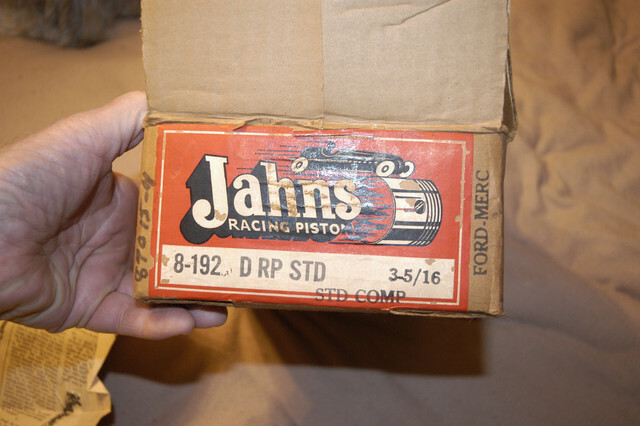 Some years back, there used to be a mail order racing parts company called "Speed-O-Motive", like Honest Charley, sold a ton of stuff, and I bought a set of Jahns 11.0:1 forged pistons for an Olds I was working on. My old '34 Ford had the Jahns "flaming piston" decal on the lower passenger side front windshield, and I almost had the logo tattooed on my arm, chose something else, but almost did. Sounds like you had great time growing up, lol. 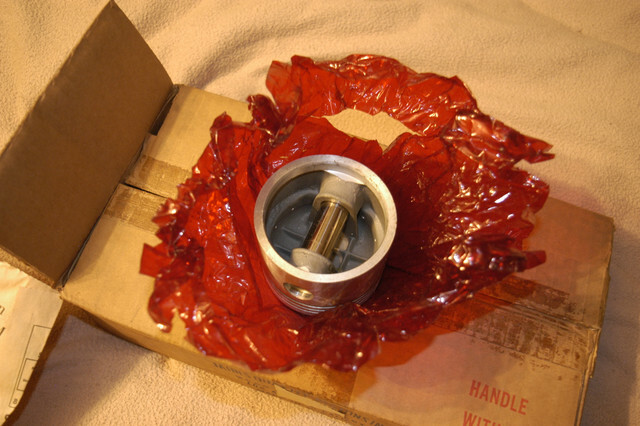 These pistons are cast and there are good and bad about forged and cast. Today they have added lots of alloys to the aluminum and things have changed. The issue we saw at the shop with forged pistons is that you have to run more clearance on them. If you crank the engine and do not let it warm up sufficient you will crack the skirts on the pistons. When they heat up they grow more than the cast due to being more dense. They might have found an alloy the fixes that issue now. Saw that a lot on all engines be it a Chevy or Ford. The cast ones did not crack ever that I saw. We used mainly TRW forged back in the 60's for 327 & 289. That looks like a wild 3 window for sure.